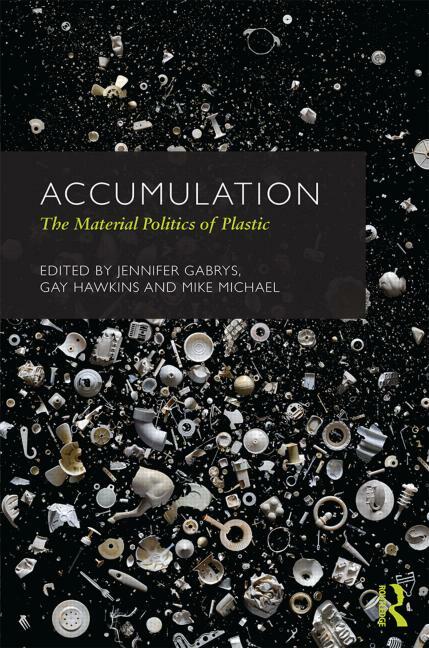 The newly published edited collection Accumulation: The Material Politics of Plastic explores the material politics of plastics. From food packaging to credit cards, plastic facilitates every part of our daily lives, and stars a central role in discard debates. Universalised and abstracted, it is often treated as the passive object of political deliberations, or a problematic material demanding human management. This interdisciplinary collection focuses on how the presence and recalcitrance of plastic reveals the relational exchanges across human and synthetic materialities. It captures multiplicity by engaging with the processual materialities or plasticity of plastic. Through a series of themed essays on plastic materialities, plastic economies, plastic bodies and new articulations of plastic, the editors and chapter authors examine specific aspects of plastic in action. How are multiple plastic realities enacted? What are their effects? This entry was posted in Consumption, Disease, Environment and tagged Accumulation, bernadette bensaude vincent, edited volume, gay hawkins, interdisciplinary collection, Material Politics, materiality, plastic surfaces, plastics, plastics materials, problematic material. Bookmark the permalink.